There are many benefits of blogging for business today. In fact, blogging is critical. However, bland, run-of-the-mill blog posts won’t cut it. These are lazy and ineffective. So what is effective? Publishing informative, well-written articles that are created with strategy and customer engagement in mind. Differentiate you from other similar businesses. Grow demand and interest in your products or services. Better yet, blogging is relatively simple and blog posts can continue to provide these benefits long after publishing. Here are five real ways a blog can help your businesses, plus some examples of companies with blogs that are helping their business right now. A blog gives people a reason to regularly visit your website, especially if you post frequently and deliver quality content that’s entertaining, useful, or both. Obviously, more people on your site can only mean more potential for reservations/bookings, more submissions to your contact form, and more potential client inquiries. More website traffic is good for any kind of business, as long as those visitors are likely to purchase your product or service. Be sure to create content that speaks to your target audience’s pain points, and make sure the headlines accurately describe the content to follow. Think you don’t have time for a blog? If that’s true, what do you have time for? Think about how you do research online before buying a product or service. You probably use Google or other search engines to research just about every kind of purchase or buying decision, whether big or small. Finding informative, engaging blog content on the subject can help sway your opinion and ultimately play a factor in where you purchase from. A small clothing boutique could post weekly or monthly style predictions and outfit tips per season. A home contractor could write about home improvement tips and feature before and after pictures of work they’ve completed along with descriptions of the projects. A tax consultant’s business could benefit from the predictable and considerable upturn in tax-related searches at certain times during the year and provide keyword-optimized tax advice (see the Google Trends screenshot below for the phrase “tax help”). Create blog posts with SEO best practices in mind from the beginning and be diligent about promotion. This will ensure that your blog acts as a round-the-clock tool for nurturing customers and potentially bringing in leads. Make sure every blog post inspires action of some kind or another. Depending on your business, you might want people to read another related piece of content, fill out a form to get a quote, or call you to set up a consultation. Ninety-six percent of people who need legal information use search engines to find it, according to statistics curated by the National Law Review. If you work at a law firm, there’s no question that potential customers are looking for legal services online and many of them are primed to move forward as soon as they find what they’re looking for. A blog with optimized posts containing legal advice and topics related to your area(s) of practice can attract people to your website at precisely the right moment and up the chances that they’ll choose to work with you. This example from the Joye Law Firm shows a well-designed blog with a wealth of useful information and plenty of opportunities to contact the firm. One strategy for business blogging is to create a site that people want to read at their leisure. 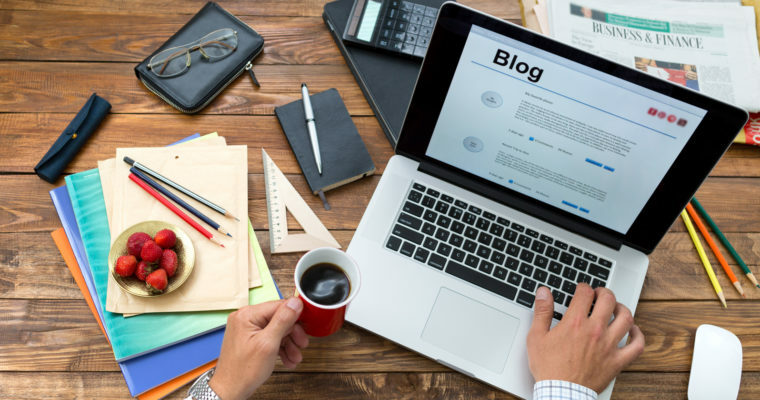 While some business blogs are going to be need-based (think legal, financial, or tax-related blogs), plenty of businesses can create want-based blogs that people will be interested in reading during their spare time. While need-based blogs focus on providing answers and immediately connecting readers with solutions you can offer, want-based blogs may focus more on stimulating demand for something your readers didn’t know they wanted at first (think clothing, food, and beauty products). The key is to make your content interesting and engaging enough that people will want to read them for fun. Over time, you can create a connection with your readers through the tone and content of the blog and foster brand loyalty. None of the products or services (trendy clothes, cooking supplies, gym subscription) sold by the companies above are really needs. Because of this, their blogs are lifestyle-based and meant to create and nurture a community and show how their solutions could enhance people’s quality of life. If you’re a restaurant owner and you don’t have a blog, you’re missing out on a huge opportunity. While people may read legal and real estate blogs when they need advice, people read about food for fun. The hashtag #food is on over 200 million Instagram posts. “Food and Drink” is the top Pinterest category. Restaurants are the perfect entities to run food blogs that can be a destination in and of themselves. 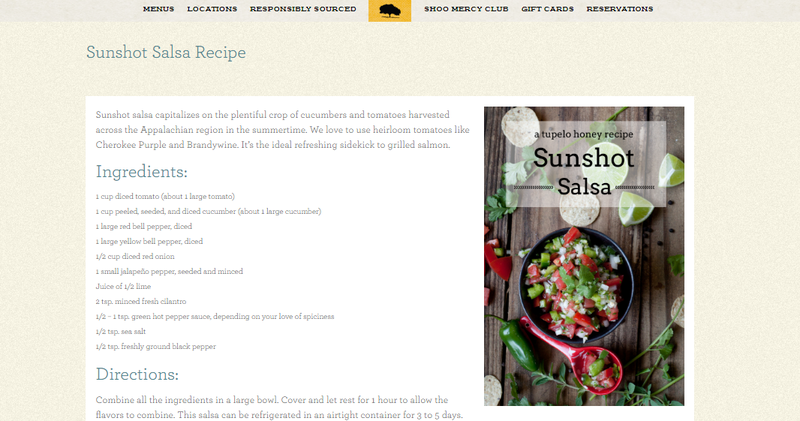 This screenshot from the blog of Tupelo Honey Cafe, a popular brunch spot with locations throughout the South, shows a highly shareable copycat-recipe blog post complete with an image that’s optimized for reposting on Pinterest. The blog also features information about new meals at the restaurant and roundups of customer pictures from Instagram. This blog succeeds because it’s not only a visually stunning and useful blog that’s perfect for browsing, but it’s also a low-key, non-aggressive advertisement for Tupelo Honey’s delicious-looking food. With a blog and a few high-quality photos of your work, you can easily create a portfolio to direct potential clients to. While it may take more effort to update your whole site, depending on how it was created, blogs on content management systems such as WordPress are generally easy to update, even if you don’t have a lot of technical knowledge. 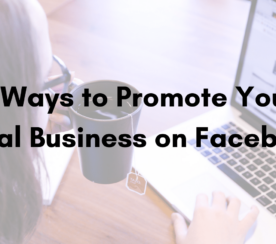 If you can publish a Facebook post, you can publish a blog on WordPress. If you need help, there’s no shortage of free advice (another example of the usefulness of blogs!). Once you’ve started cataloging your work on your blog, you have a simple link to send to people who want to get a sense of the quality and efficacy of your work. With the popularity of home improvement and DIY shows, you know that people love a good home renovation story. If you’re a home contractor, using your blog to show off impressive projects you’ve completed helps people visualize what their homes could look like after a remodel. 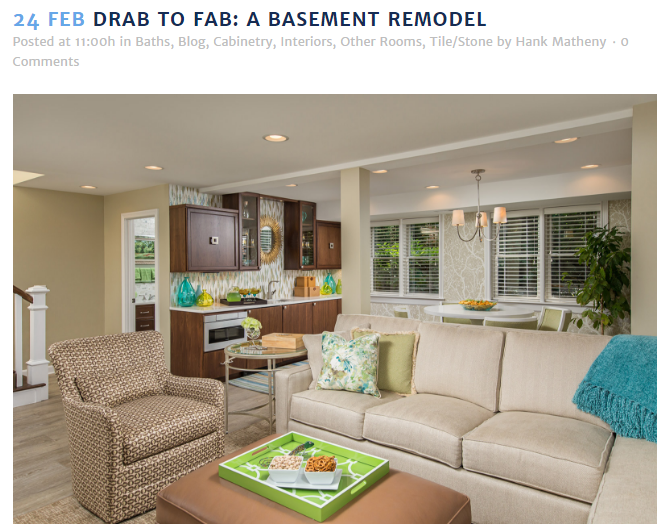 Home improvement company Haskell Interiors’ blog includes case studies of past client work and home improvement tips. The effect of the high-quality before and after pictures and the detailed project descriptions is compelling enough to make anyone consider a remodeling project. 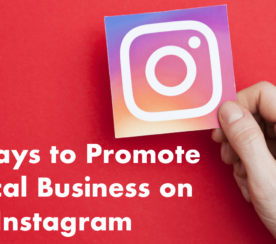 Even months after a blog post goes live, it can continue to attract new leads and customers and help you increase sales. More than three quarters of their blog views are for old posts, according to Hubspot. Even better, those old posts help to collect the vast majority (90 percent) of their leads. While it’s still important to create new posts, older posts can remain relevant to your readers for a long time. 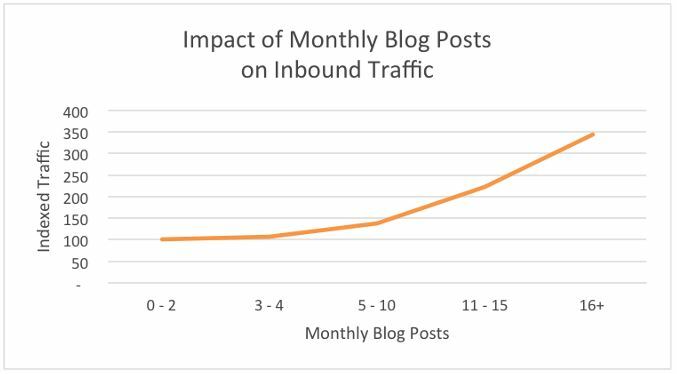 Not only that, old blog posts that have gained authority/ranking over time and are bringing in a good amount of organic traffic can be easily updated to serve current campaigns/goals. Sometimes all it takes are a few small tweaks for the blog to retain its usefulness and bring in qualified leads. 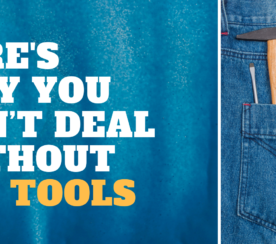 Clearly, blogging is beneficial no matter where your customers are in the purchasing process. Try adapting one or more of the examples here for your own business. Be sure to track and measure your results. Effective blogging will help you start attracting and nurturing leads, then capturing and engaging new customers.